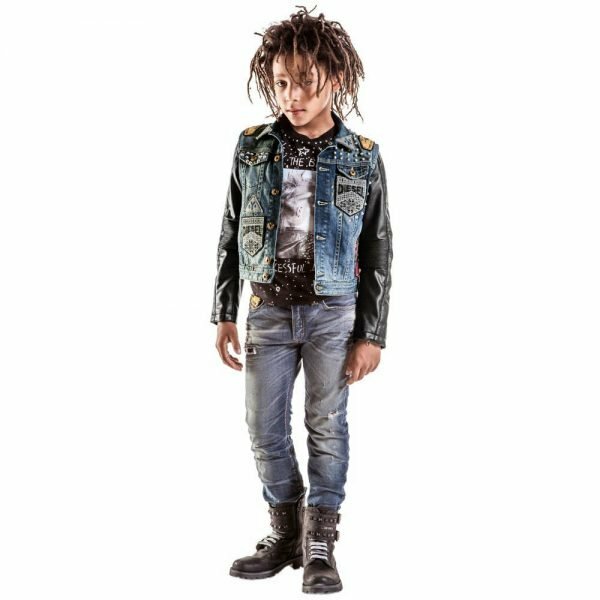 Love this boys cool denim jacket, designed in honor of Diesel's 30th Anniversary. It has an all over decoration of badges featuring the designer's logo and reference to the celebration. In a biker style, the synthetic leather sleeves are attached to look like a leather jacket under a sleeveless denim jacket. It fastens on the front with buttons and has silver studs which give it an edgy look. Complete the look with a pair of fashionable Diesel Jeans. 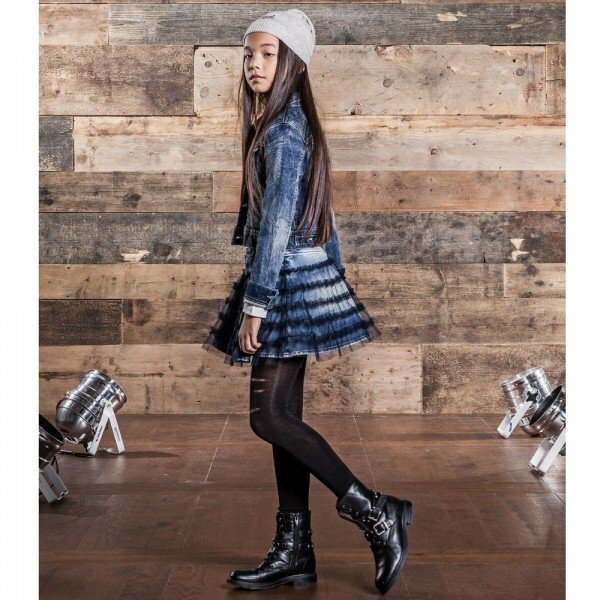 Adorable Mini Me Look Inspired by the Diesel Women's Collection featured on the runway at Milan Fashion Week. Ships Worldwide.